Get the gossip on our new assortment! 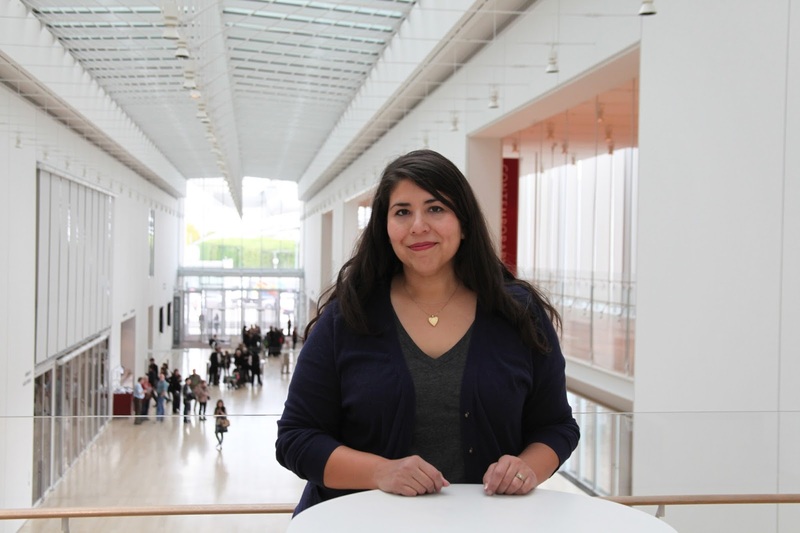 Jennifer is stepping in today to advise and acquaint us with some of the items she chose for spring and why. Q. What spring trends have you seen emerge in the market? A. Sophisticated pastels are everywhere. Think dustier, smokier, and more subdued than the baby pastels of the past. I have also seen a lot of metallics and mixed materials in the market. Q. Were you able to incorporate these into the spring assortment? A. The Orange & Gold Bowl/Wall Decor is nice way to add some metallic sparkle to your decor. The Mother's Day Vase has a lovely luster over a sophisticated dusty blue. 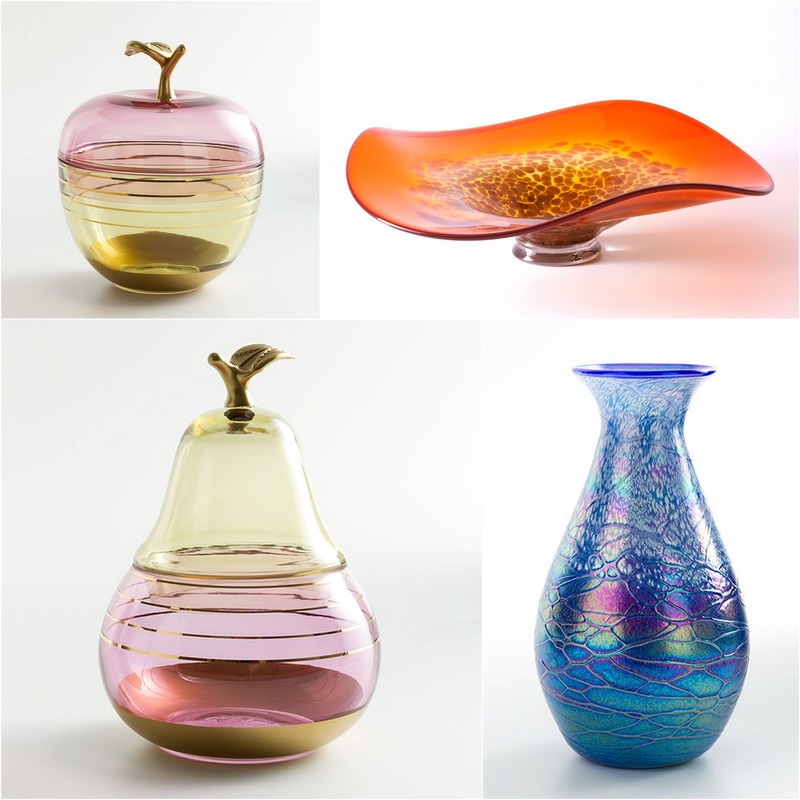 Our Apple and Pear Shaped Glass Jars are an example of all three trends with gold accents on smoky pastel colored glass. Q. You just can't go wrong with glass fruit! Why is that? A. I think it's very fresh and light for spring. The new Apple and Pear Shaped Glass Jars are particularly nice because they are not only beautiful but they are useful as well. The perfect addition to any kitchen! Q. Which new products are you most excited about? A. 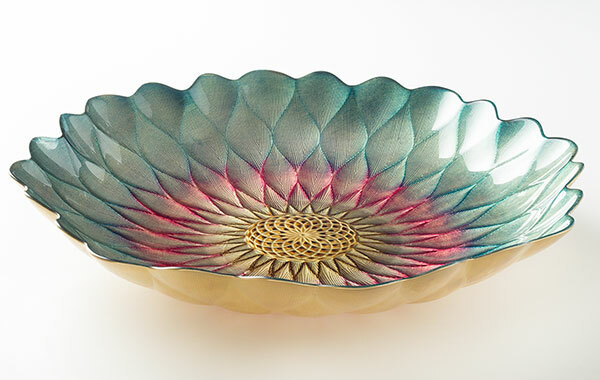 We have some new Turkish glass in our assortment and I think the Dahlia Bowl is particularly beautiful. I also love the Green Shades Vase & Bowl. 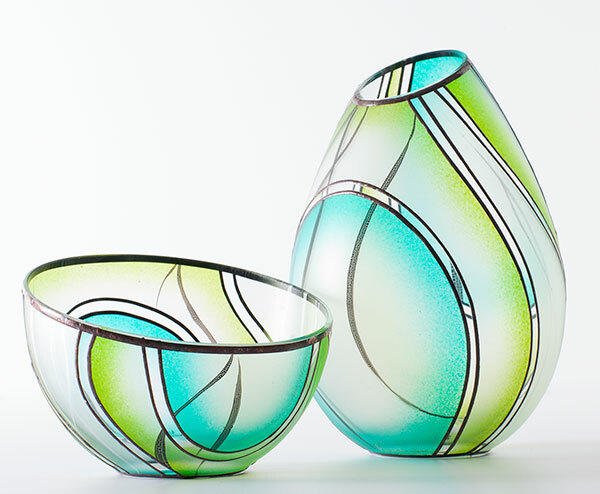 These are made for us by a very talented Czech artisan and the color reminds me of a field of fresh grass. Q. They're cute, colorful and cuddly- we have new kids products! Tell us a little about them. A. Buying for kids I have found that they love fun and silly, so we thought these monsters and robots would be perfect! The bonus is that they are handmade in North America and fine enough to display in any room that could use a playful accent. 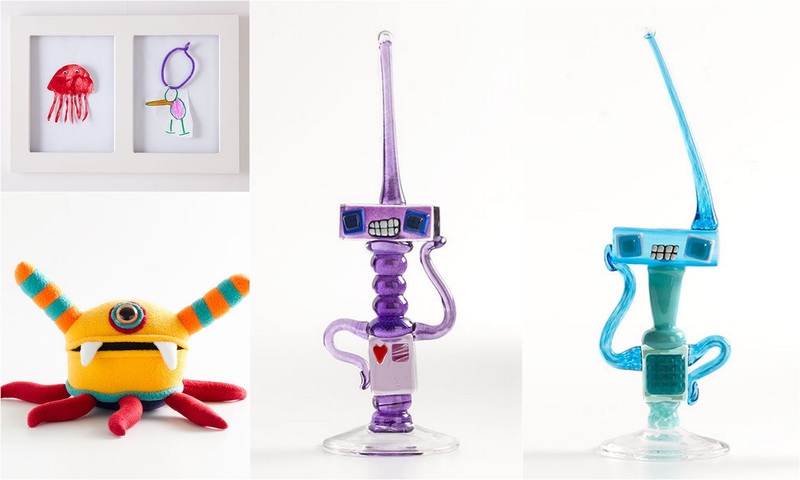 The Glass Robots are in fact lovely glass art pieces that we just couldn't resist placing in a kids setting. We've added the Gallery Frame so you can display your child's own fun, silly, and beautiful creations. Click here to see the full assortment. These are so eye catching and fetching! You have a very good eye!